While cutting and removing a piece of an American Flag would seem like a desecration of the flag to modern Americans, the act was not so unusual in the 19th century. This act, known in flag collecting as "souveniring", is a more common trait on historic flags than one would think. 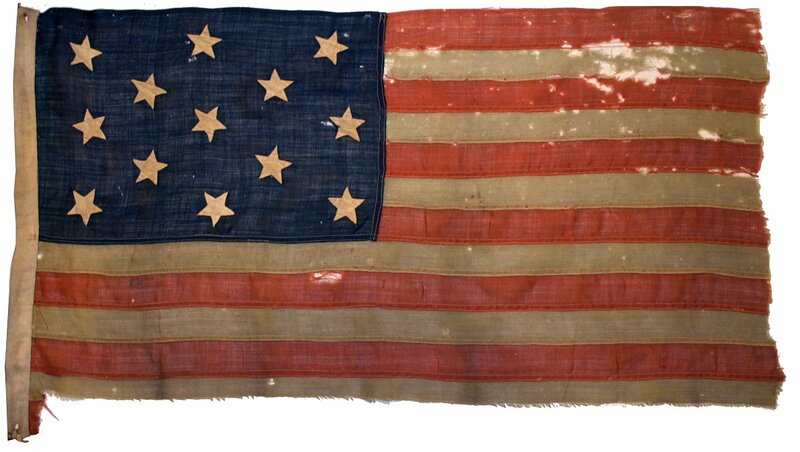 Some of the most historic American flags known, such as the Bennington Flag and the Star Spangled Banner, were subject to souvenir hunters who cut and kept pieces of them. The practice of taking souvenirs was especially prevalent on flags that surrounded significant historic events such as assassinations or significant military battles, campaigns or wars. During the Civil War in particular, units mustering out of service, who spent years rallying around their beloved colors, would sometimes take pieces as keepsakes and as a symbol of unit solidarity. In other cases, where unit leaders and officers were killed in combat, a souvenir of the flag might be removed and sent to the leader's loved ones. There are several flags in the collection that show evidence of souveniring. The very early 13 star flag highlighted in the Showcase, which most likely predates the Civil War, is missing a piece of the top red stripe. One of the most interesting examples of souveniring in the collection is shown below. 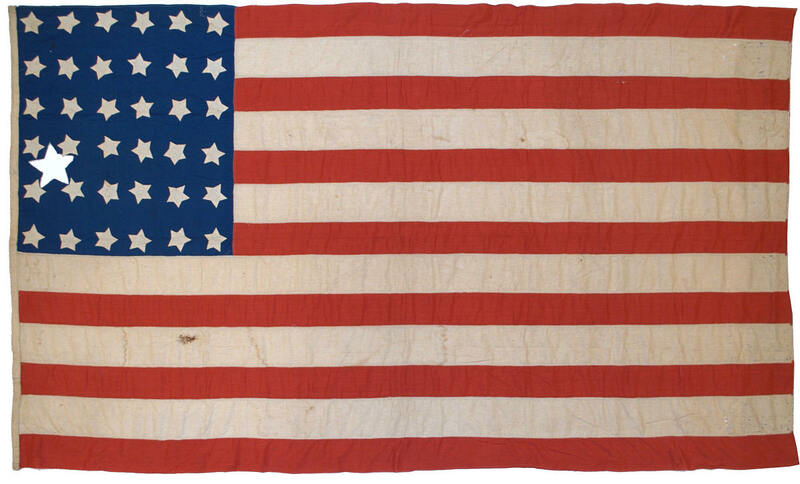 This 36 star American National Flag is in the form of a Union company-grade infantry battle flag, with its elongated stripes and smaller squarish vertically oriented canton. 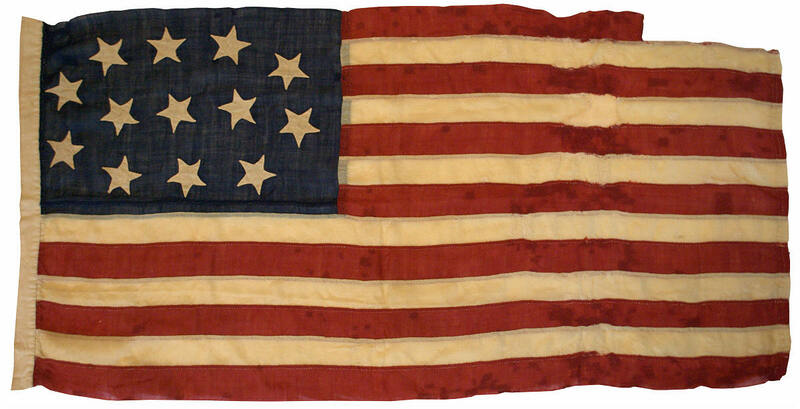 Although the specific unit that carried this flag is lost to history, the presence of a souvenir in the shape of a star, cut from the canton, is strong evidence that the flag was in fact used by a military unit, and most likely a souvenir was taken to mark the death of a commander or other highly regarded unit leader.